We’ve followed the dysfunctional Vanderpump Rules cast now through four seasons of cruel, abusive treatment toward humanity and each other. And just when we feel like there’s no more bitter behavior left to unlock, they give us more. Thank goodness these assholes will be back in our lives soon. 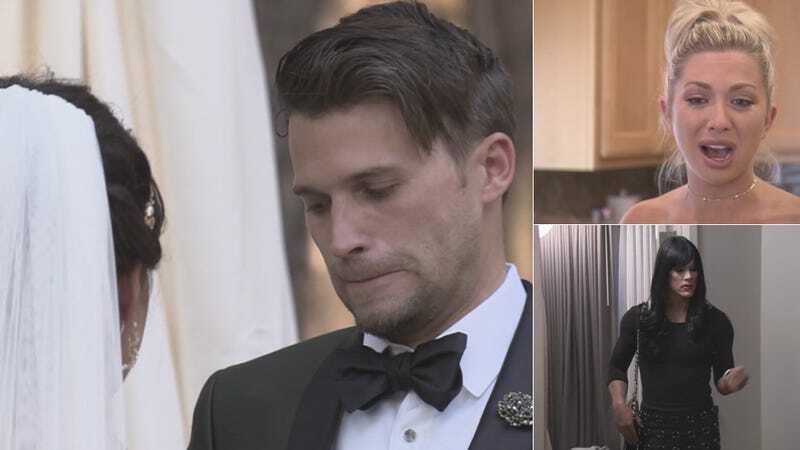 In the trailer for Season 5, the saga continues with the wedding of our favorite non-fornicating couple Tom Schwartz and Katie—it’s officiated, of course, by SUR’s overlord Lisa Vanderpump. This season looks to be another landslide of disaster and fissures between fake friends, not to mention a few group adventures to Montauk and New Orleans. Katie accuses Scheana of frontin’ on their friendship, Brittany and Jax aren’t sure if they belong together, Kristen thinks LaLa might be screwing a married dude, Tom Sandoval is kinda just around and crying, and Tom Schwartz questions whether he truly wants to spend eternity with Katie, even though we know the wedding happened and also serves as the backdrop for this very trailer. There will also be lots of crying. The gang returns to us on November 7.